Tombs of Pedro I o Cruel and Inez de Castro. King of Spain Afonso married his son and heir, Peter, to Constanza, daughter of James II of Aragon. When Constanza arrived in Portugal in 1340, Inês de Castro, the beautiful and aristocratic daughter of a prominent Galician family, accompanied her as her lady-in-waiting. Future king soon fell in love with Inês, and the two conducted a long love affair that lasted until Inês’s murder in 1355. The scandal of Peter’s affair with Inês, and its political ramifications, caused Afonso to banish Inês from court. Peter refused to marry any of the princesses his father suggested as a second wife; and the king refused to allow his son to marry Inês as Peter wanted. The two aristocratic lovers began living together in secret. Peter later claimed that he had married Inês against his father’s orders. 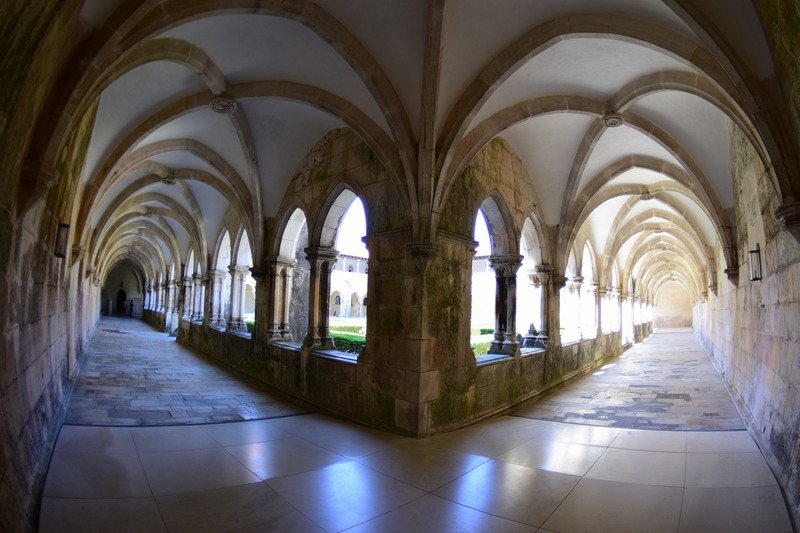 In any event, in 1355, Afonso sent three men to find Inês at the Monastery of Santa Clara-a-Velha in Coimbra, where she was detained, and they decapitated her in front of one of her young children. Enraged, Peter revolted against his father. Afonso defeated his son within a year, but died shortly thereafter, and Peter succeeded to the throne in 1357. The love affair and father-son conflict inspired more than twenty operas and many writers. Inês’ assassins received his harshest punishment: the three had escaped to Castile, but Peter arranged for them to be exchanged for Castilian fugitives residing in Portugal with his nephew, Peter of Castile. The Portuguese king conducted a public trial of Pêro Coelho and Álvaro Gonçalves in 1361. After finding them guilty of Ines’ murder, the king ripped their hearts out with his own hands, according to Lopes, because of what they had done to his own heart. Diogo Lopes Pacheco escaped and died in 1383. According to legend, Peter later had Inês’ body exhumed and placed upon a throne, dressed in rich robes and jewels, and required all of his vassals to kiss the hand of the deceased queen. Peter did have Inês’ body removed from her resting place in Coimbra and taken to Alcobaça where it was reburied in the royal monastery. Peter had two tombs constructed, one for each of them, so they would see each other when rising at the Last Judgment. The tombs show Peter and Inês facing each other, with the words “Até o fim do mundo…” (“Until the end of the world…”) inscribed on the marble.